By default, WordPress uses URLs like this http://example.com/?p=123. This URL structure is not SEO friendly. This is why most WordPress site owners use Pretty Permalinks, which is a term used for SEO friendly URLs in WordPress. These SEO friendly Permalinks contain post, category, tag, title in the URL, allowing you to use Keywords inside your URLs. In this article, I am going to show you how to set up Permalinks in WordPress and make your website more SEO friendly. %author% – Author name sanitized to be used in URL. e.g. syed-balkhi. 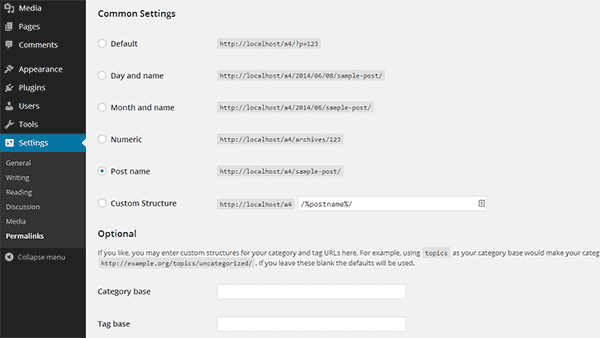 WordPress Permalinks need mod_rewrite module installed on your web server. WordPress also uses a special server configuration file called .htaccess to use pretty permalinks. 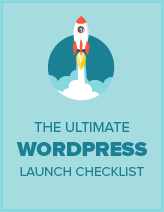 All our recommended WordPress hosting providers have set up their servers with necessary configuration to run WordPress. This means your server should already be configure to use Apache’s mod_rewrite module. I hope this article helped you set up Permalinks in WordPress. It will certainly provide the SEO boost your site deserves. I have configured and setup as you have shown in article but still my articles are ranking in Google domain.com/category ,may I know how to solve this issue ?? Does WordPress not create an .htaccess automatically? If not, you need to create a blank one in your WordPress root directory and set the permissions to 666 so it can write to it. thanks for the info, I manage to complete the first step( changing my permalink Date and Name option, however, I dont know how to create .htaccess, should I open the cpanel and create a folder for that(in my public html)? Thanks for the tips. Your notes are very clear and easy to follow.